Parma, Italy – January 9, 2016 – Custom introduces the K3 thermal Point of Sale printer with integrated wireless barcode scanner further consolidating the number of devices required at the point of sale and increasing functionality through NFC. Custom Barcode Scanner (CBS) is the latest innovation in wireless and contactless communication for the retail space. Offered as an integrated solution with the K3 POS printer, the CBS brings retailers a level of functionality never seen before from a thermal printer. This highly functional system integrates thermal printing, RFID technology, 2 Dimensional Barcode Scanning (available in either WiFi or Bluetooth) and contactless charging capable of operating with or without a PC. This sleek and compact space-saving solution is also available as a stand-alone scanner. “Custom has been developing integrated solutions for 25 years interacting with users in daily life. We innovate – we are not interested in bringing ‘me too’ products to market. Our goal is to provide value by translating the voice of the customer into highly functional solutions to meet the needs of the modern point-of-sale. This is evident in the release of the K3 with CBS.” says Nicola Ciarlante, CEO of Custom America. 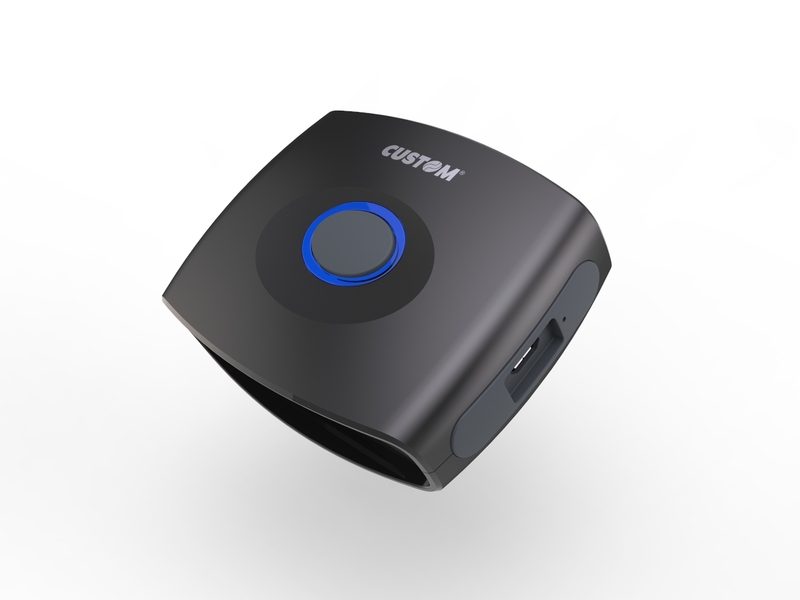 Custom’s commitment to innovation is further seen by level of functionality designed into the CBS: integrated OLED based user display for remote control functionality and real time data viewing, user feedback – beeper, vibration and tactile button, reading capabilities – 1D, 2D and OCR-B. Custom will introduce the K3 with CBS and stand-alone CBS at NRF Retail’s Big Show 2017 in NYC, NY January 15 – 17 booth #4511. Maxima, development of retail software and mobile solutions for stores.